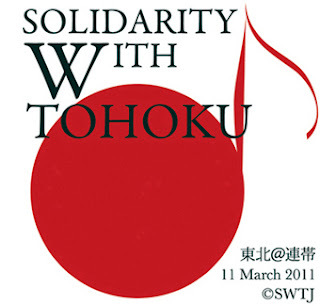 SOLIDARITY WITH TOHOKU is a support project launched after the earthquake and tsunami that occured on Japan’s northeastern coast on March 11, 2011. By using the knowledge and experience we gained in the earthquake in Kobe 16 years ago, we would like to think of ways to rebuild the destroyed comminites and overcome the natural disaster that has hit Japanese society with the help of the small input of many over a long time period of solidarity. During these first few days after the disaster, saving lives, first aid, and reconstructing basic life lines and infrastructures are priorities. Since access roads are obstrued, we need to let professionals and rescue teams act just now. However, very soon, the solidarity with the people of Tohoku of each and everyone of us will be a priority. In the meantime, we must think of every possible need that could occur, and create systems to help. Before we start action, we need to think of systems that create the least stress for both those who help, and those who receive help. In order to do that, we must collect and analyse information. I would like to collect ideas coming from people working in many different fields. Going on-site as soon as possible is the next priority. We will have to coordinate support with the help and advice of the people on-site. A long time of much needed solidarity has just started. Please send comments with your constructive advice and opinion. When our international group had to temporarily evacuate from an emergency site, some of our local staff stayed on and kept driving around in MSF cars, even though there was nothing they could do. By doing so, they tried tried to tell people that MSF was still present. This local staff knew how important it was to show victims that help was available. 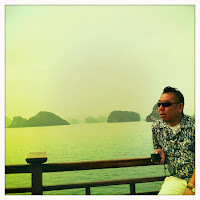 As promised, later we came back. The idea is to start something that shows the victims that they are not forgotten, and that reminds the rest of us of the disaster. For TOHOKU, the idea is to create a sticker, one size for cars, and one size for cell phones, to show solidarity over the long term. Many people will be encouraged just by seeing that they are not forgotten. And there are people who will remember to help when seeing a sticker.